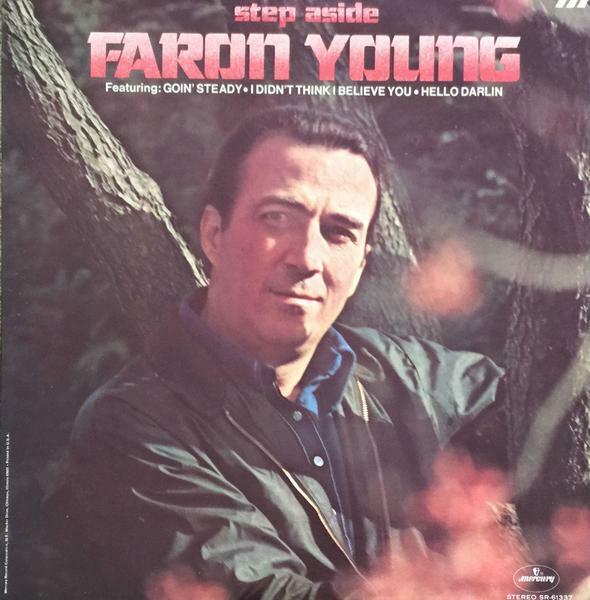 In this episode, we're featuring an album that captures Faron Young at his very best: "Step Aside" (1970). Released at a particularly busy time for Young on Mercury Records, "Step Aside" was crammed in amongst seven full length studio albums in four years, but that fact hasn't affected the output one bit. The Singing Sheriff is in the best voice of his career: mellow yet animated, soaring yet wonderfully controlled, and all with a healthy dose of twang. As you'd expect, it's fiddles and steel, the best musicians and Jerry Kennedy at the helm yet again - it's almost as if Mercury knew to make hay while the sun was shining on ol' Faron, because this was one of his last commercially successful albums before the ensuing decline in sales eventually plunged Faron into what may be described as a prolonged bout of depression. Highlights are plentiful, including the wonderfully uptempo cheating song "Just Like Me", "Come On Home And Sing The Blues To Daddy", a sensational cover of "Hello Darlin'" (Conway would approve) and a better-than-the-original re-recording of "Goin' Steady": the song which started it all for Faron back in 1952.